Hundreds of rampaging youth suspected to be National Democratic Congress (NDC) activists from the Odododiodoo constituency virtually took over portions of Accra with offensive weapons, calling for the blood of NPP members who dare to face them in the area. Some of them, wearing armbands, bearing cutlasses, pickaxes and guns which they occasionally fired into the air, were chanting war songs. One of the thugs who was later arrested by the police, according to sources, was ordered to be freed by the James Town Police Commander, DSP Franklyn Addae, simply because he was an NDC activist, making policemen deployed to the scene helpless. The posture of the thugs scared hawkers and shop owners as they walked from one point to the other with an unusual confidence, buoyed by the support they enjoyed from Castle’s Nii Lantey Vanderpuye, NDC candidate for the constituency. Even though the police moved in quickly, they could not arrest any of the rampaging youth for breaching public order law and thus prompting tongue-wagging about whether their action was authorised by the establishment. The hoodlums, some of them bare-chested, were said to have been recruited by Nii Lante Vanderpuye, a presidential aide whose preference for violence and involvement in registration centre confusion is now household knowledge. Their appearance on the scene came on the heels of a repeat visit by Ursula Owusu, NPP parliamentary candidate for the Ablekuma South constituency, yesterday, an earlier one having been marred by an attack by NDC hoodlums. Ursula received several slaps from the NDC goons on Wednesday afternoon. Ms. Owusu returned yesterday in the company of her party supporters after attending an NPP press conference at the Acquaye House in Accra central. Shortly after a procession to the Kantamanto area and an interaction with party supporters had ended, the NDC hoodlums appeared as though looking for her to repeat the earlier attack. An eyewitness told DAILY GUIDE that the gang had earlier stormed the Christian Mmoa Kuo polling station at Tarzan, ostensibly to attack Ursula and some NPP members who visited the Kantamanto area yesterday. The team of DAILY GUIDE reporters followed the gang from the Kantamanto area as they marched towards some principal streets in the constituency, chanting war songs. They were moving towards Cow Lane, Palladium and firing guns, a situation which compelled DAILY GUIDE to occasionally take cover. Women and children did likewise to avoid being hit by stray bullets or caught in the crossfire. Another eyewitness who spoke on anonymity said the gang was led by a certain light-skinned Bruno and a Nii Okai, both supporters of Nii Lante Vanderpuye. The two have been tasked by Nii Lante Vanderpuye to ensure that only Ga-speaking persons registered at registration centres. Akans who managed to register at all were denied their registration cards on the authority of the two who derived their power indirectly from the Castle. They have been unleashing a reign of terror in the constituency for some time now. Last Tuesday, an NPP sympathizer, one Yeboah, was stabbed by the thugs. After the attack on Ursula and Abu Jinapor on Wednesday, one Mumuni Mohammed, a communication director for the NPP Zongo Youth, was also brutally beaten by the gang, with blood dripping from his body. Following the act of violence in the area, supporters of NPP in the constituency yesterday ignited the infamous ‘all die be die’ spirit when they indicated their preparedness to face their opponents in the NDC boot-for-boot, Charles Takyi-Boadu reports. The supporters, mostly youth, could not fathom why the leadership of the NPP would sit in laxity for their members to be intimated and brutalised at various registration centres by the NDC. For them, “the time to act is now” since according to most of them, they could not continue to sit down and watch while their members were being brutalised. That was during a press conference organised by the party in reaction to brutalities visited on members of the party across the country, with the latest being the party’s parliamentary candidate for Ablekuma South, Ursula Owusu and Samuel Abdulai Jinapor. The two and several others including 26-year-old Mohamed Ibrahim, Samuel Nortey and Mohammed Mumuni were attacked by the NDC gangsters on Wednesday. Halfway through the press conference, which was addressed by the 2nd Deputy Speaker of Parliament and MP for Dome-Kwabenya, Professor Aaron Mike Oquaye, the physically charged NPP youth started chanting, with some of them indicating their readiness to go and face the NDC thugs. 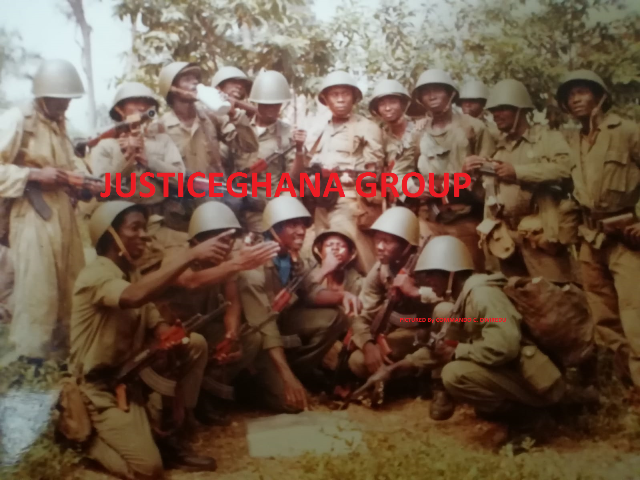 They charged their leaders to put an end to organising press conferences and issuing press statements whenever their members were attacked and take decisive measures by “taking the bull by the horns” before things got out of hand. Other than that, they said, it would get to a time when none of them would be able and willing to work for the party for fear of being attacked or victimised. A number of them DAILY GUIDE spoke to said they had lost confidence in the Ghana Police Service and noted that “no more” would the NDC goons attack their members and go scot-free, since the constitution of the country made provision for self -defence. Prof. Oquaye described the attack on Ursula Owusu as “a serious blow to Ghanaian womanhood”. He believed that those things he described as shameful were happening because the parliamentary candidate of the ruling party, Nii Lantey, had declared the place a no-go area for people perceived to be his political opponents. “We want to say that no territory in Ghana is exclusive to anyone or any ethnic group; there can be no no-go area in Ghana whatsoever, Kantamanto has got all the tribes in Ghana- Mamprusis, Hausas, Dagombas, Ewes, Akans, Fantis , Gas etc,” he said. The opposition party has since called on the Inspector-General of Police (IGP), Paul Tawiah Quaye, to take measures to protect all Ghanaians at such a crucial point in time.